today, providing a finer grain and more rustic finish. 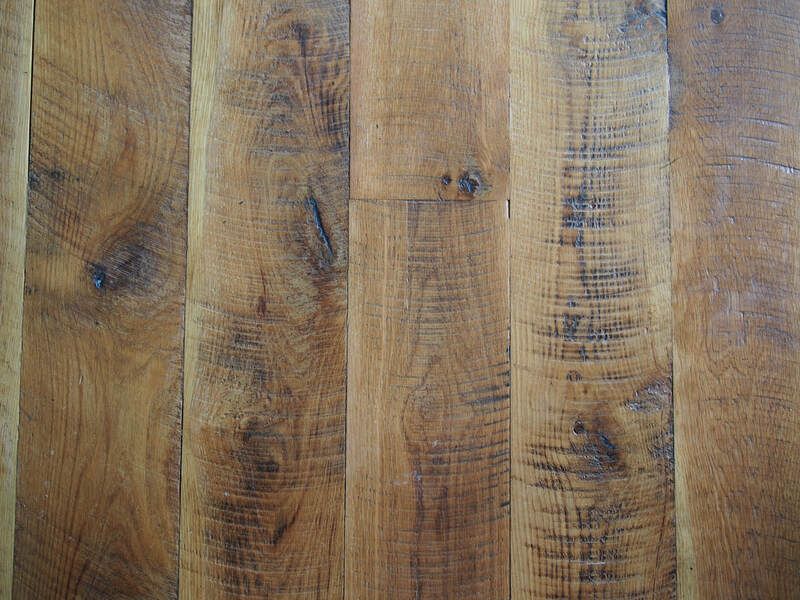 To match your unique style our Reclaimed White Oak flooring is available in three different looks. Our Circle Saw Face replicates the original milling and gives the most rustic effect. For a softer, more unique look we have our Worn Circle Saw Face. For this face, we set our circle saw to remove 50% of the saw marks, creating a unique look that can only be replicated by hours of hand sanding. For a look full of character, go with our freshly milled Clean Face. The Worn Circle Saw- 50/50 Hit & Miss is not eliminating the circle-saw marks, this softens out the marks about 50% for a less rustic more worn lived on look.